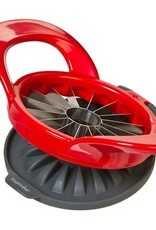 Our Thin Apple Slicer is a quick and safe way to easily core and slice an apple. Place the apple on the countertop, stem side down. 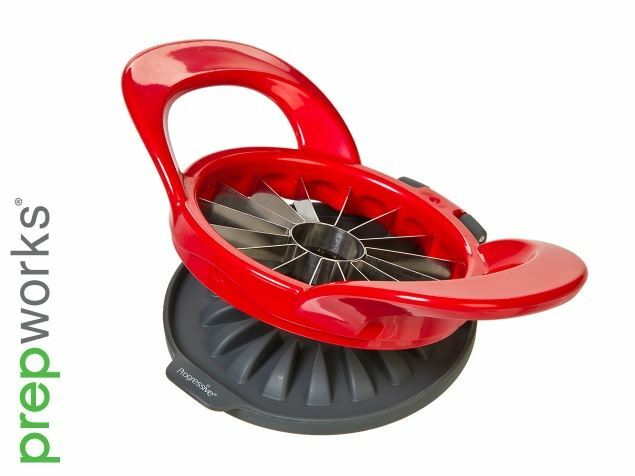 Simply push the slicing blades down over the apple, flip the protective cover underneath and pop the apple slices the rest of the way through the blades.